There’s so much to love on the scenic drive to the Port City of Albany. 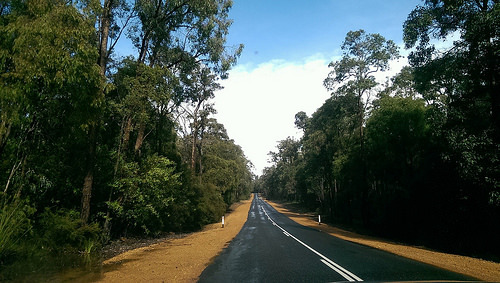 This part of Australia displays a beautiful contrast with rich red soil and green bush land. 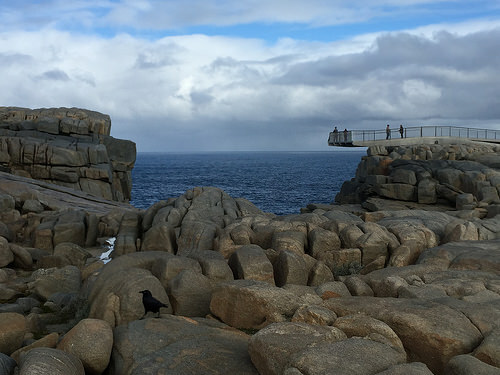 For the next few days we’ll be experiencing Western Australia highlights near Albany. After travelling through Augusta, Premberton and Denmark, we arrived at Albany. 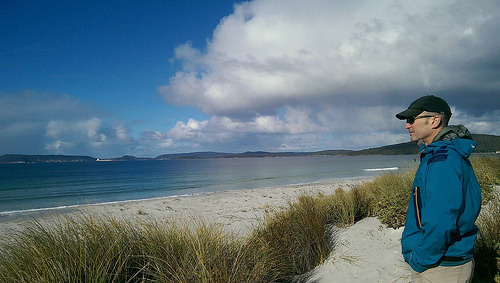 Albany is the oldest settled city in Western Australia and has a rich history. Albany is also very famous for its migrating whales. Massive Humpback and Southern Right Whales only visit in late May to early October. So if you want to see them, you really need to schedule your trip at that time. 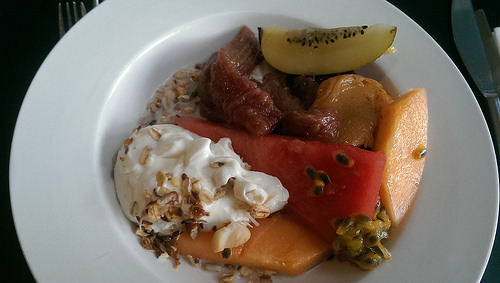 We booked into the The Beach House at Bayside, a family-owned hotel with terrific hospitality and a great breakfast! At the time of our visit, the owners were building higher-end apartments just down the road. They should be well and truly completed by now. If B & B accommodation is not really your thing, these apartment would be a great option. Of course, they will be differently priced. 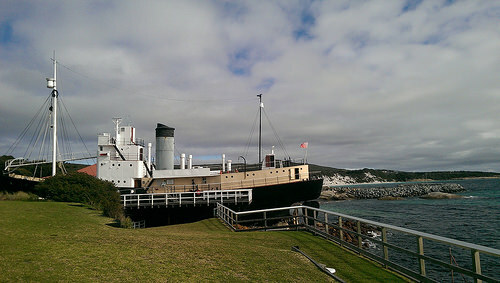 The Whaler’s station is one of Western Australia highlights near Albany. So if you want to get an overview of the station’s history, I would definitely a guided tour. In 1978, the last whale was taken at Albany in 1978. What remains, is an historical account of those times. Believe me, on this tour, you’ll get plenty of bang for your buck. We were surprised by the extensive use of very clever technology. There’s a great 3-D presentation (glasses supplied). Three large oil tanks have been converted into small theatres. The actual film footage of this bleak period provides quite an impact. 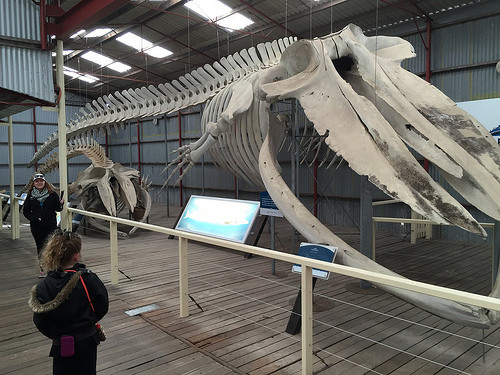 But its the display of whale skeletons in a separate warehouse, that’s an absolute showstopper! 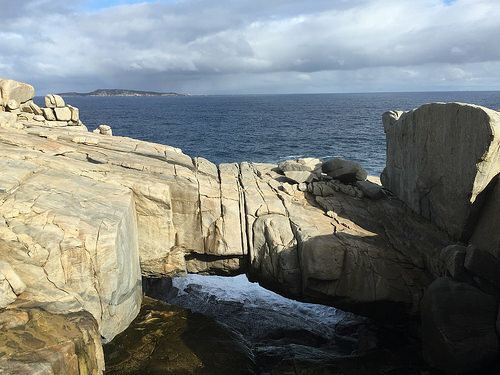 Our next stop was at The Gap, located in the Torndirrip National Park, 10kms from Albany. 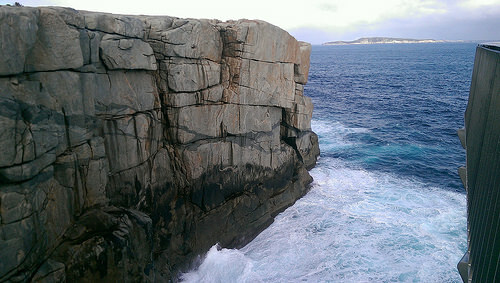 The Gap is a a 24-metre drop to the sea and the Natural Bridge. There’s no better display of the Southern’s Ocean’s awesome drama. Do wrap up warmly, as it can be cold. 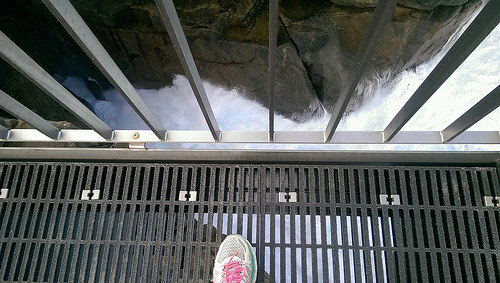 An accessible viewing platform allowed us access 40 metres directly above the foaming torrent below. I’m proud to say that out of the two of us, I was the only one brave enough to step right to the edge. It really is quite daunting to look down. The scenery and rock formation provides a very powerful image. 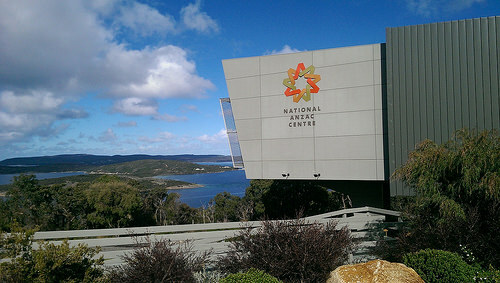 The National Anzac Centre is a state-of-the-art interpretative museum overlooking the King George Sound. For atmosphere alone, it is a must-do tour. Each visitor is provided with their own audio technology. This means that you can just stroll around at your own pace. It’s incredibly moving to hear the actual letters and diaries of these soldiers being read out. The mood here is both respectful and somber. Each soldier is given respect, no matter what side they fought on. On entry, there’s a continuous reel of real footage showing soldiers marching through a street. The sound of their boots is like a slow beating heart and it is quite haunting. The lighting within the museum is subdued. Photos were difficult to take, as no flashes are permitted. 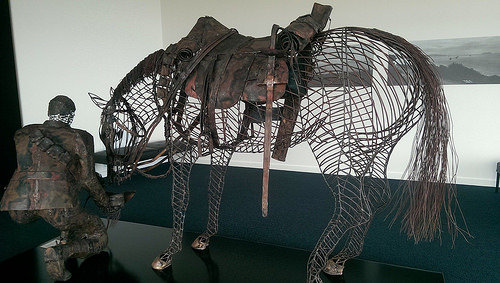 I was able to get a photo of this beautiful bronze sculpture. After the National Anzac Centre, we headed on back to Albany and just in time to catch the late afternoon sun. It may be winter here but the temperatures are very mild. I’m loving these beautiful white-sandy Australian beaches.